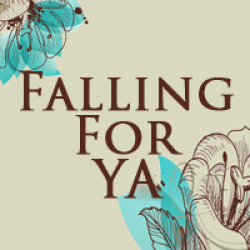 This is my first time reviewing a series of short stories because I usually don’t enjoy them. 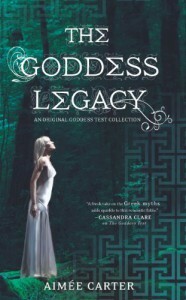 I had hoped that The Goddess Legacy would be different but unfortunately I didn’t particularly enjoy this series of stories. The first story follows Hera/Calliope and how she came to marry Zeus and deal with his infidelity. I did not like this story. Hera to me was not a sympathetic character so I found it hard to feel bad for her and then the way she acted so vindictive toward others really bothered me. Individual rating 1/5. The second story is about Ava/Aphrodite and her struggles with an arranged marriage when it would be impossible for her to stay faithful. It also deals a lot with Aphrodite’s love of both brothers Hephaestus and Ares. This story was alright. I didn’t hate or love it, at times Aphrodite was whiney but it reminded me a lot of the Ava in The Goddess Test so I liked that continuity. Individual rating 2/5. The third story is about Persephone and her arranged marriage to Hades and what leads her to choose to fade. This was my least favorite story, I spent the entire time reading just shaking me head and wanting to hit Persephone. I really did not like anything about this story. I didn’t feel Persephone’s love for Adonis and I didn’t understand her choices at all. I didn’t even feel bad for Hades because he just seemed so oblivious to everything and like a doormat. Basically this story was ridiculous. Well written, but ridiculous. Individual rating 1/5. The fourth story follows James/Hermes as he comes to Earth to figure out why the Gods are fading. This was definitely my favorite story of the set. The little relationship that develops between Tuck and James was everything I wanted it to be and it has that classic tragic Greek ending that made me a little teary eyed. It was worth struggling through the Persephone story to read this one! Individual rating 5/5. The fifth story is about Hades asking the council to fade and the deal he makes that begins The Goddess Test’s. I also enjoyed this story it was interesting to get a glimpse into Hades’ solitary existence and the reason he chooses to fade. My favorite part has got to be at the end when Henry meets Kate for the first time, it was very cute. Individual rating 4/5. Random Rant: I don’t really understand why this is The Goddess Test #2.5, I haven’t read Goddess Interrupted yet but it wasn’t really necessary to have read any of the series to read this group of stories. So if that is the reason you’re not picking it up, don’t let that be the case! Overall, this book definitely had its faults but the last two stories were very enjoyable and kind of saved the book for me. I would recommend this to anyone who loves The Goddess Test or Greek Mythology in general.